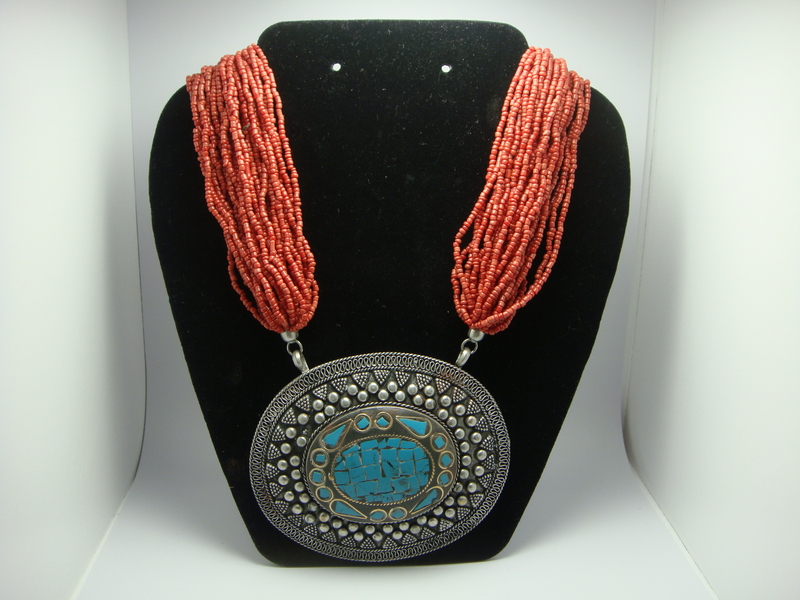 Categories: Accessories, Afro Couture, Jewelry, Necklaces, Prints and Colors, Women. 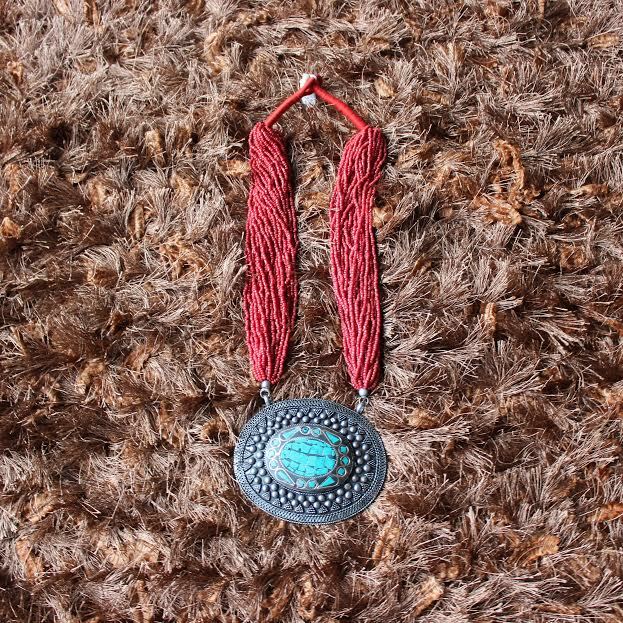 Tag: necklaces. 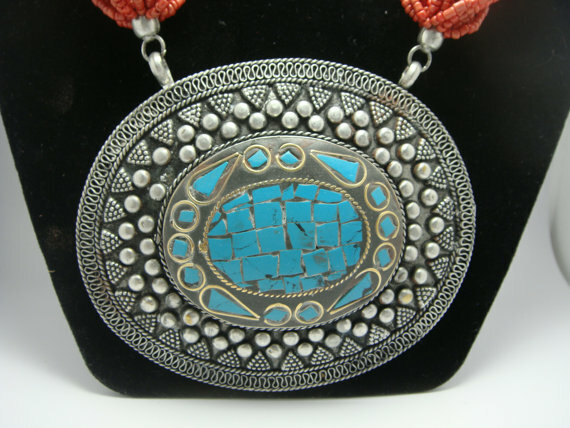 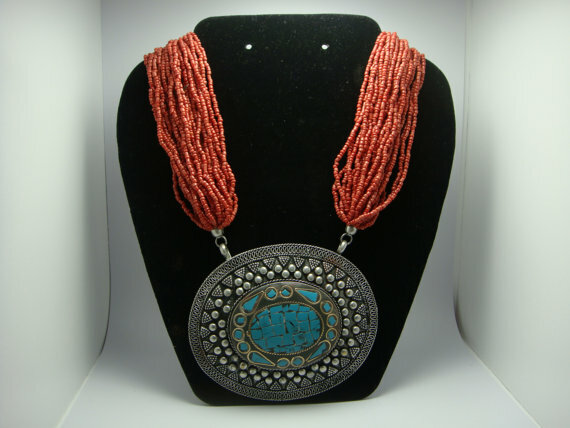 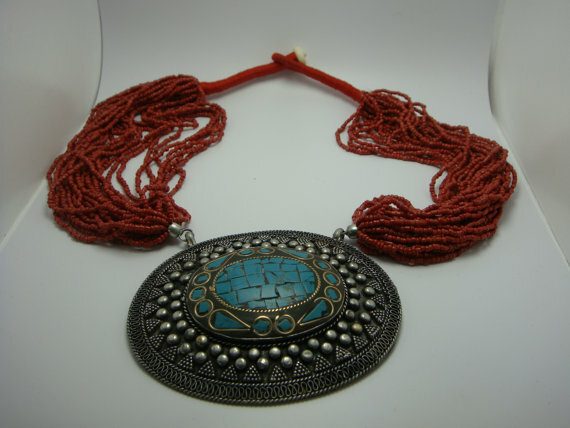 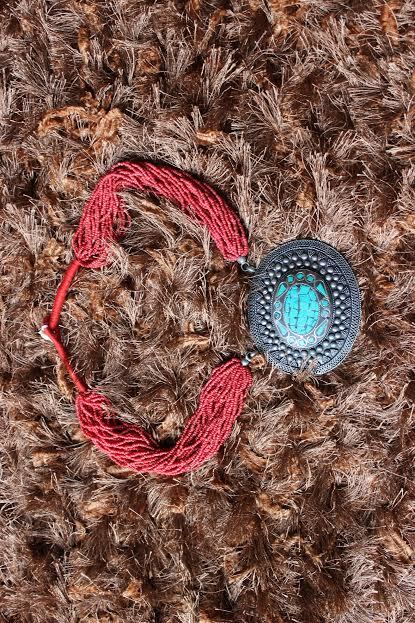 Tribal red beaded necklace with etched silver metal medallion with turquoise stones.